I have lost people that were important to me. I don’t mean they died, though I suppose they could have. They have simply vanished. They have no presence on social media or in any of the look-ups on the internet. They are gone. Periodically I try to look them up. I don’t necessarily even want to talk to them. It has been a lot of years. I doubt I have much to say. I merely want to know if they are okay. But they are gone. With all of the intense social media everywhere, some people drop off the edge of the world. Perhaps that is what they wanted, for whatever reason. For me, they are missing, without a trace. Do you ever have the feeling that something is going on, but you are totally missing the point? I have felt that way since approximately 2010. That was the year my off-the-rails life tipped over and rolled into the gully. “What just happened?” I asked the world. As usual, the world had nothing to say, so I’ve been more or less puzzled by everything ever since. It isn’t merely that my health went massively down hill between 2010 and 2014. It’s also people I thought I knew behaving strangely. I realize some of us have reached an age where dementia is creeping in around the edges, but these are smart people with advanced degrees suddenly passing around Facebook memes. And look who we elected? If that isn’t proof there’s been a significant cultural disconnect, I don’t know what might be. Then, if I look hard at the world, I think maybe whatever I’m missing, I’m better off. Knowing what’s going on doesn’t always make me feel better. 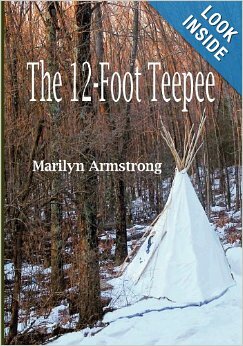 Author Marilyn ArmstrongPosted on 12/09/2016 12/09/2016 Categories Daily Post, HumorTags humor, missing, The Daily Post, what am I missing?13 Comments on WHAT AM I MISSING?